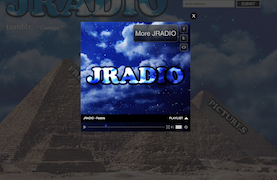 We were so happy to get to work with longtime friend, Merlo Podlewski a.k.a JRADIO on a new microsite (JRADIOMusic.com) to promote his upcoming EP release. Many know Merlo as the bassist in Jack Johnson’s band, and those of you who have been to a Jack show have likely seen Merlo put his bass down, grab the mic and spit it hard. 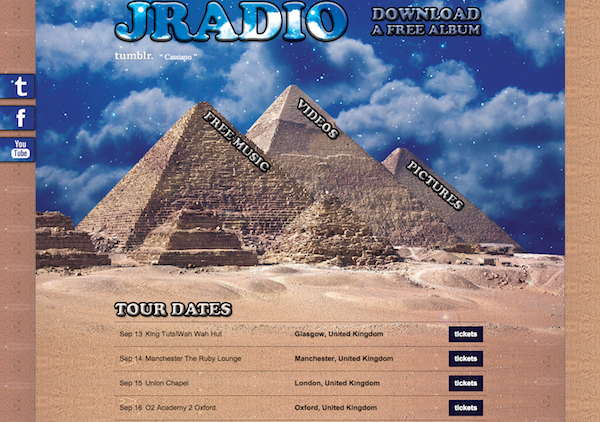 Now finally shifting focus towards his solo project, JRADIO is gearing up to release a new EP and hit the road. 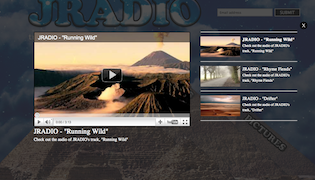 JRADIOMusic.com features tons of social and Topspin integration with clean light-box functionality. Fans are able to listen to and download his full 4 song EP via a Topspin Email for Media widget, we’ve filled his Videos section with a YouTube feed in, and his Photos are pulled in from Facebook.